Concrete sealing and pavers sealing is a big business in Orange County. Concrete can be custom styled and colored to meet anybody’s taste. 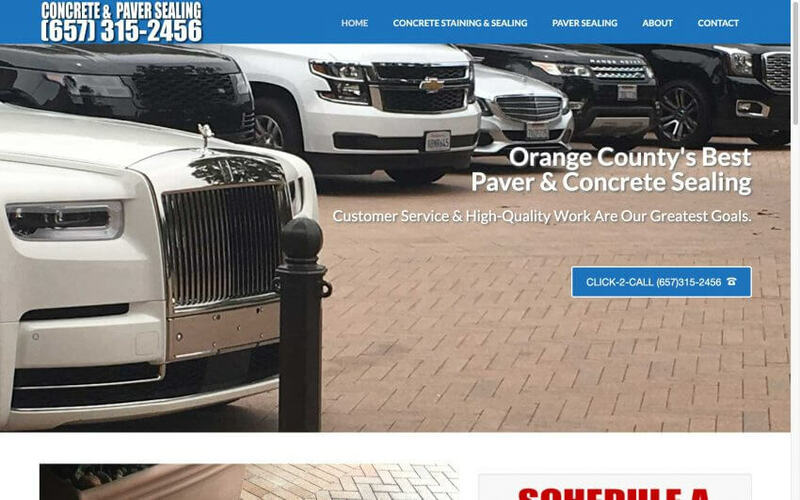 Our concrete sealing and pavers sealing website is designed to general numerous leads for our client and it is working. He is having to hire more people to keep up with the work. That is a good thing.